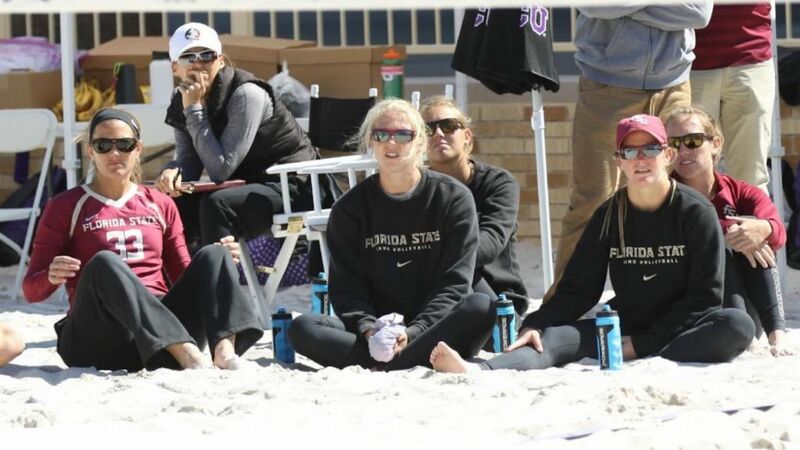 TALLAHASSEE, Fla. – The Florida State Beach Volleyball team heads south for the 7th annual Fiesta on Siesta Tournament on Siesta Key beach this weekend, April 9 & 10. The tournament which has featured a pairs’ bracket competition in the past will now host dual-match play over the two-day event. Florida State will open the tournament on Saturday at 10:30 a.m. against Louisiana-Monroe followed with a 4:00 p.m. showdown against North Florida. The Seminoles return to the beach on Sunday for two more matches against Florida Atlantic (10:30 a.m.) and UNC Wilmington (11:30 a.m.). The Fiesta on Siesta Tournament marks the sixth consecutive weekend the Seminoles will play on the road. Florida State, who is ranked third for the second straight week in the AVCA Beach top 10 poll, sits at 16-1 on the year including a 10-1 record against ranked opponents. This weekend’s tournament marks the first time FSU will face any of the four schools this year as an early scheduled match against Florida Atlantic down in DeLand was canceled due to weather. The Seminoles have never suffered a loss all-time against three of the schools including Louisiana-Monroe (3-0), North Florida (2-0) and FAU (3-0). Florida State and UNC Wilmington will meet for the first time on Sunday. Seminole fans be sure to follow the Noles on Twitter (FSU_BeachVB) and on Instagram (FSUBeachVolleyball) for updates from this weekend’s matches.